Florida SouthWestern State College (FSW) is pleased to announce the appointment of Michael Messina as director of international education for FSW’s Center for International Education (CIE). In his new position, Messina will lead the expansion of FSW’s international education programs, overseeing strategic planning, study abroad programming, faculty and student exchanges, and the coordination of international college partnerships and internship opportunities. 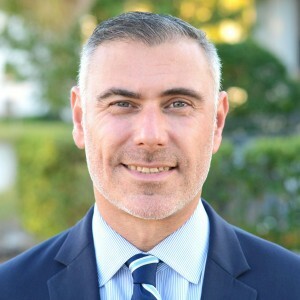 Messina brings more than 15 years of experience in higher education, with an expertise in managing international study programs, having most recently served as director of recruitment, admissions and institutional relations for Syracuse University Study Abroad. A graduate of Syracuse University in New York, Messina earned a bachelor’s degree in sociology in 1998 and a master’s degree in higher education administration in 2000. The CIE at FSW offers a variety of international education programming for students, including a summer study-abroad opportunity available through a partnership with Lorenzo de’ Medici (LdM) in Italy. Through this program, students spend a month living in Italy and learning its history and culture while taking classes and earning credits at LdM. Focused on expanding international education opportunities, FSW’s CIE has already grown its travel-abroad opportunities within the last year. In 2018, CIE began the partnership with LdM with 10 participants, and soon expanded to offer two courses led by five faculty members with close to 50 registered students in 2019. Established in 1962 as Edison Junior College, Florida SouthWestern State College provides students with an affordable opportunity to fulfill their professional goals through a variety of degrees and programs. The college offers Associate in Arts, Associate in Science and Baccalaureate degrees, in addition to a variety of certificate programs at four campuses located in Charlotte, Collier, Lee and Hendry counties. For more information, visit www.fsw.edu.